My husband, Michael, is the College pastor at FBC Woodway. This Christmas season, our college ministry has decided to partner with our friends in northern Iraq in helping children receive much need heart surgeries. We decided to set our goal to raise money for one child, SOMA. Her story is below. Soma is four months old. Her family is among the poorest in Iraq. Their home consists of two rooms with no kitchen, not even a sink. They live in a town called Kalar, which is about 3 hours south east of Suly. But that isn’t the worst of it: she has Ebstein disease – a heart defect that has caused thousands of children in Iraq to die and more than 3,000 waiting for surgery. If Soma doesn’t receive surgery in January, she will become inoperable and may not live to the age of one or two. 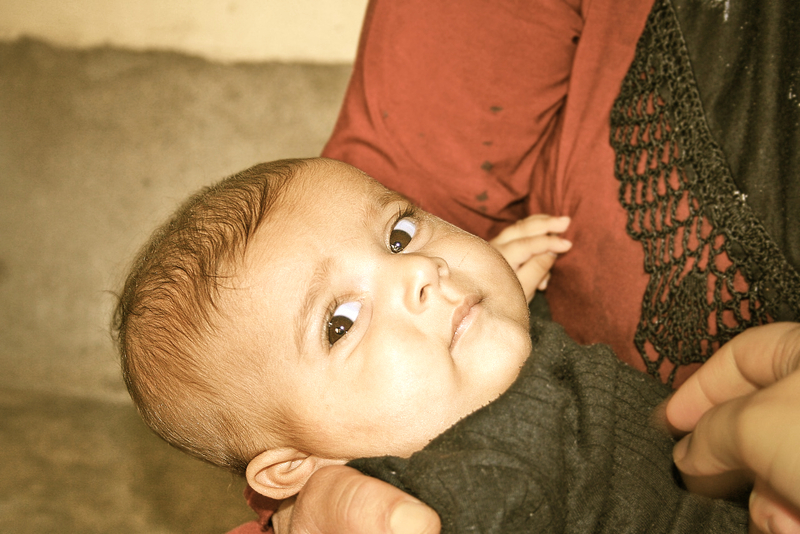 Her parents and her older sister’s greatest hope is to see Soma’s heart healed. This is where we get to help. Right now Soma’s family is having difficulty raising funds for her heart surgery. So, we want to partner with her family and PLC so that Soma may receive this critical, potential life-saving surgery. This is where we have the opportunity to touch lives for the sake of the gospel in Iraq. As a College Ministry, we’re hoping to raise the $7,000 that it will cost to give Soma this much needed heart surgery. pray :: ask the Father to provide for Soma. donate :: you can give in honor of a friend or family member as a gift for Soma. go to preemptivelove.org :: for more info about what they do. visit n. iraq :: see Soma and many others during the summer.